Actinobacteria is a unique group of microorganisms, and they possess one of the most complex cellular structures among bacteria. Their differences with other bacteria in terms of morphological and physiological properties have been shown by various interesting microbiological studies. Before the development of molecular biology, there are many arguments on their resemblance to fungi cells; however, their prokaryotic and bacterial nature has been revealed, many years ago. During 1950–1970s, the golden era of antibiotics and the great metabolic potentials of these bacteria, mainly their long-established role in production of antibiotics, have attracted the attentions. 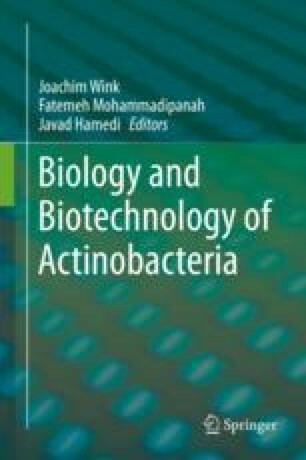 Study of the basic biological concepts of actinobacteria is to some extent underestimated in comparison with the information available from the biotechnological potential of these bacteria. Here we have summarized the basic concepts related to the cellular structure of actinobacterial members to help balance the basic information. This data can also help to better understand the functions and behavior of these bacteria.